Cute shoes that are sure to please any girl this coming school year. They are slotted for cheer but they look fun to wear. They didn't have my size in Black so we ordered my daughter's size in Pink. She isn't sure if it will be the in thing or not but she is willing to wear them. If I had the black pom pom sneakers I would wear them around no problem. Super cute and different then other sneakers on the market. These would be cute with dresses, skirts, leggings, and jeans. 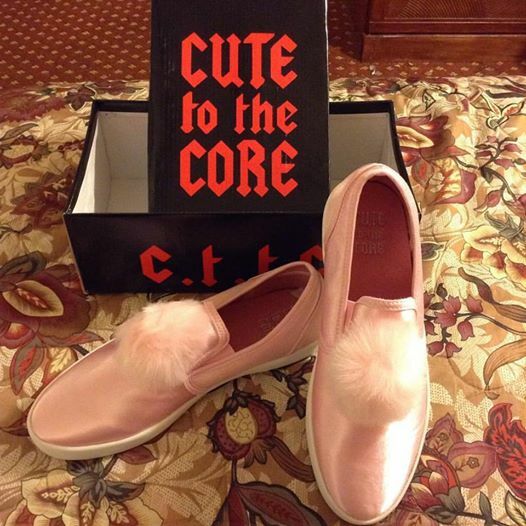 The Cute to the Core pom pom sneakers can be found on Amazon here. What Cute to the Core has to say about their product. 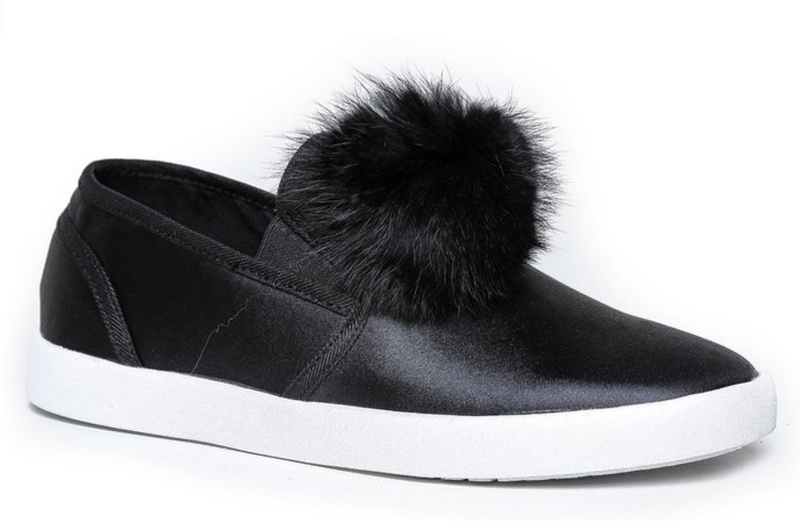 EXCLUSIVE POM POM DETAIL: Fluffy adorable pom pom atop the cutest pair of sneakers! Join the leagues of fashionistas and show your love for the pom pom trend by sporting these gorgeous slip on shoes. HIGH QUALITY SATIN FABRIC: Made from a superior, satin-like material, these sneakers have a smooth, satin sheen. Enjoy these fine sneakers that add a high end finishing touch to your outfit. EVERYDAY COMFORT: Designed to facilitate all day wear, this sneakers feature a comfortable, padded insole and a sturdy, flexible outsole that provides optimal walking traction! Effortlessly slip on your pair and enjoy leisurely strolls, everywhere! SPORTY AND FUN! : Slip on with ease. 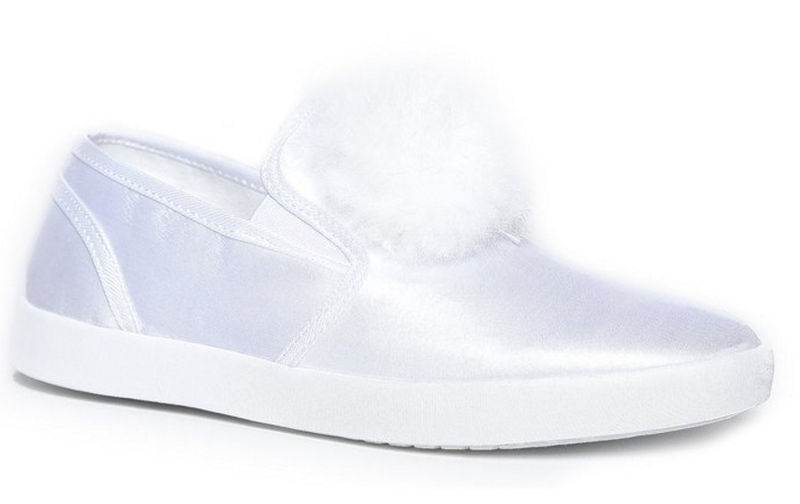 Blending a white, sporty sole with a satin upper make these adorable pom pom the highlight on your feet! Disclosure: MarksvilleandMe received one or more of the products mentioned above as part of a promotion with Tomoson and ZooShoo. Regardless, MarksvilleandMe only recommends products or services we use personally and believe will be good for our readers. Some of the links in the article may be “affiliate links.” This means if you click on the link and purchase the item, I will receive compensation. If you would like MarksvilleandMe to review a product or service please contact us at marksvilleandme@gmail.com.